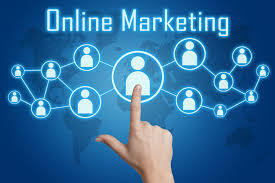 SEO, online marketing, and advertising specialists. 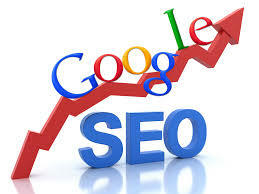 Ans: We are online advertising specialists whose focus is on SEO (Search Engine Optimization). If you have received an email from us, please do reply. Ans: We work with companies, usually pretty large companies, that want to get their websites higher in the search engine results. Q: Why have we contacted you? Ans: Apparently we like your website and we want to buy some form of advertising from you. You may have been referred to us by a business associate. We may have found your site online. We assume that you want to make more money and we'd like to help. We are not trying to sell you something, matter of fact, just the opposite, we want to buy from you. Q: If you are thinking, "What if I want to contact you, the 'so called' online marketing specialists and SEO extraordinaires?" Ans: We try to make everything easy for everyone and getting in touch with us couldn't be any easier unless we invent a way for you to just think of us and we call you right away. We aren't mind readers though, so this will have to do. Just email me at jeff at rouge dot net. We spelled it out so that the spyders can't get (spam) us. Spyders frighten us. What else? Well, we can pay you via check, wire transfer, Paypal, or Paxum. We do have a phone and can talk "bidness" with you that way if you prefer. We also use ICQ and Skype, which we will gladly email to you upon request....or we can contact you via one of those if you email us your info. Oh, and we've been doing this, in one form or another, for over 20 years and are really good at what we do. Ans: We live in Baton Rouge, Louisiana...so we own Rouge.net. Other than that, it has no significance. It does kinda make it easy for you to remember where we are from and what time zone we live in (Central Time Zone). This is relevant to you folks that don't live in the United States because we do sleep sometimes and it may be while you are awake....but we can work around that.